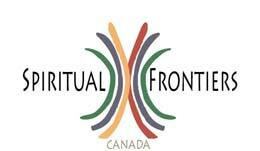 What is the mission of Spiritual Frontiers Canada? Is SFC a religion or religious group? How is SFC managed and by whom? What is meant by “SFC an open minded group”? How are SFC speakers & workshop leaders invited to be on an SFC Program? What is the cost of attending an SFC event? What topics are on SFC's program of events? Generally speaking, which types of services does SFC provide? What is the mission of SFC? Our mission is to enhance the spiritual awareness of the community to encourage personal growth and a holistic approach to health and living. Our vision is a world where all people are free to find their spiritual path. Is SFC a religion or a religious group? The short answer is no. SFC is an independent and not for profit association. Our members have diverse backgrounds, varied interests and a common interest in humanity's expanding awareness, intrinsic spiritual nature, and in old and new religious, spiritual, ethical and philosophical issues facing individuals at this dawn of the 21st century and thereafter . SFC volunteers make everything happen and no one draws a salary for anything. The association is managed by committees of SFC member volunteers and all decisions are reached by consensus. The management committee makes policy decisions and coordinates the activities of the other committees (e.g. program, special events, website). The program committee develops and produces the annual schedule of talks and workshops. We are grateful for any amount of time a member can give to help run SFC, anything from a one-time volunteer as a “welcomer” for an event, to the ongoing help of a committee member. Any help is greatly appreciated. What is meant by “ SFC is an educational, open-minded, group”? SFC is an innovative forum to respectfully consider various information sources and viewpoints, via talks and workshops, on the above issues, in a positive, friendly, non confrontational manner. SFC does not endorse the views or activities of invited speakers and workshop leaders. How are speakers and workshop leaders invited to be on an SFC program? SFC invites suggestions/proposals for talks and workshops. Periodically, surveys are conducted to keep up to date on the current interests of the SFC community. We ask for a $5.00 donation for attending a public talk, which we greatly appreciate because it helps to cover administrative & operating expenses for the organization. The cost to attend a workshop is currently $20.00. There may be the rare exception where a workshop fee may differ. current spiritual trends and challenges. harmonious relationships with self, others, and the god of one's understanding. current spiritual groups and movements. changing paradigms, psychic and mystical. Note that the focus is always on the spiritual (e.g. a holistic health topic would include a spiritual element). An SFC member is someone who attends SFC activities or is on the mailing list to receive SFC announcements. There is no annual membership fee to be an SFC member. What services does SFC provide? SFC sponsors low cost talks and workshops advertised in Tone Magazine and here on our website. Event reminders are emailed to those who request this service. Members and non-members have the opportunity to meet like-minded people and make new friends at our talks and workshops and, afterwards, some members usually meet at a nearby restaurant to socialize. We also have a number of social events like the Christmas social & potluck supper where SFC members and their friends can get together to have good conversations, stories, jokes, sing alongs, and a really good time. Please go to our Contact page if you would like more information.